With Readly you can read Hollywood's Hidden History Secrets & Scandals and thousands of other magazines on your tablet and smartphone. Get access to all with just one subscription. New releases and back issues – all included. The stars of Hollywood’s golden age are famed for their good looks and timeless performances, but it was often what they did off-screen that catapulted them into the headlines. 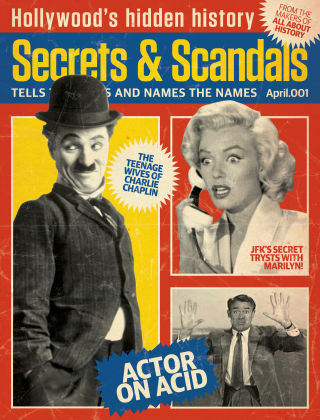 In this digital edition, we lift the curtain on some of history’s biggest superstars including Marilyn Monroe, Charlie Chaplin and Frank Sinatra, revealing secret love affairs and scandalous pastimes.